Rinse out Hair Complete after leaving it in for a few minutes. ORMONICA Hair Complete is a hair treatment. Generally products that are called conditioner or rinse make protective films on the surface of the hair to prevent stiffness and provide smooth combing. On the contrary, our treatment agent not only protects the surface of hair but also permeates to the inside of the hair. It repairs damaged hair and improves its condition. 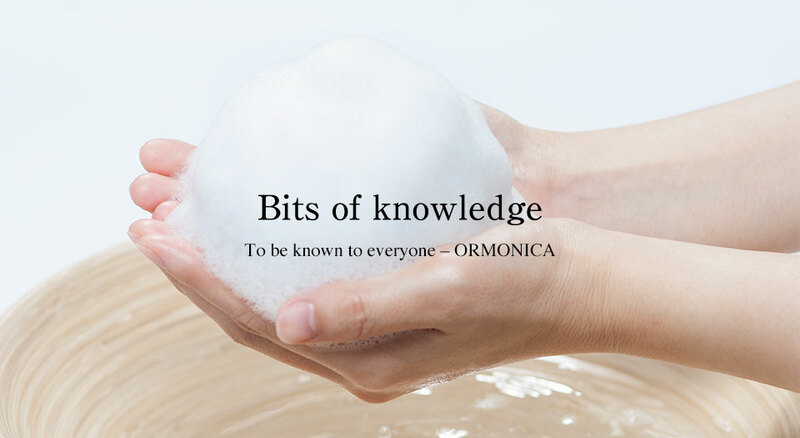 Therefore, when using ORMONICA Hair Complete, it is best to leave the product in your hair for a few minutes before rinsing to allow time for the components to permeate into your hair. We especially recommend it if you have concerns about damaged hair. Our Hair Oil also works for your hands and nails. ORMONICA Organics Hair Oil is a multipurpose cosmetic oil for hair care, styling, scalp care and more. This oil derived from natural plants with high moisturizing effects and permeability feels smooth on your hands. It serves as a barrier to hold in moisture. Apply it as nail care on the surface and the cuticles of your nails if they easily split or break. Surface-active agents are important in creating shampoo foam. There are many kinds of surface-active agents with differences in foaming ability, size of bubbles, and cleansing ability. Until now, despite users’ many requests, organic and non-silicone shampoos have sacrificed foaming ability and smooth feel for the sake of the natural quality of the ingredients. 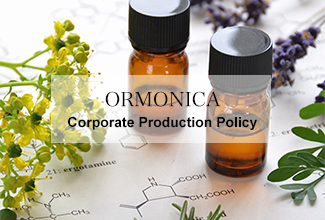 ORMONICA Shampoo has now solved this problem by selecting a surface-active agent which has enabled us to maintain a corporate production standard of 95% or more naturally-derived components. Thanks to this, we finally achieved the production of a rich and creamy foam. We experimented and after much trial and error, we found a way to balance amino acid and betaine surface-active agents with plant-derived natural cleansing components such as soapnut oil (Sapindus trifoliatus fruit extract), while avoiding chemicals such as laureth sulfates and areth sulfates. Additionally, extra oils such as shea butter, jojoba seed oil and baobab oil were formulated with these plant extracts in order to give users even smoother and shinier hair.